Edwards, R., and Roy, H. (eds) 2009. 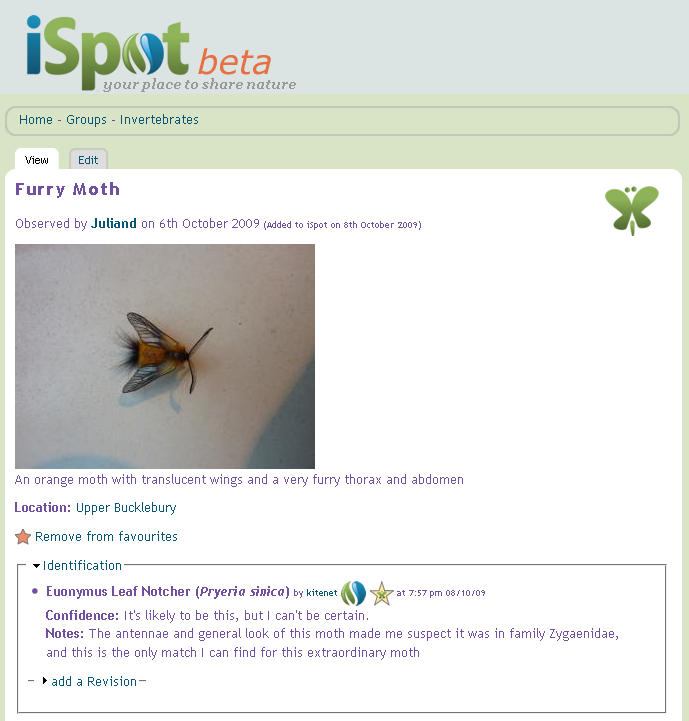 Provisional atlas of aculeate Hymenoptera of Britain and Ireland Part 7. Wallingford: Biological Records Centre. Part 7 of this atlas includes maps for a further 58 species, with brief species accounts summarising the distribution, ecology and conservation status. Following the BWARS plan, part 7 contains a mix of ants, wasps and bees, including nine of the small (and hard to identify) parasitic jewel wasps in genus Chrysis, seven of the solitary wasps in genus Crossocerus, a range of solitary bees and six bumblebees (genus Bombus). The latter group includes an account of Bombus cullumanus, last recorded in Britain in 1941, in Berkshire, and now considered extinct following recent surveys of all the sites from which it was previously known. By contrast, the map for Bombus hypnorum shows how far this species has spread since it colonised Britain in 2001. There is a useful summary of the problems of distinguishing workers of Bombus terrestris from those of Bombus lucorum (queens and males can be separated relatively easily, although for queens the situation is becoming more difficult as colonies of the continental, white-tailed, race of Bombus terrestris have been imported for commercial use); and of the status of Bombus lucorum itself, which has been shown to be an aggregate of three very similar species: B. lucorum sensu stricto, B. magnus and B. cryptarum. The dot maps in part 7 show the most recent records as black dots for the period 1970 to 2007 (or so it says on page 9, but I think at least some of the maps include records after 2007 – certainly that for Bombus hypnorum does). While this maintains consistency with the maps in the previous parts of the atlas, it does not enable more recent changes in distribution to be shown. For example, it would have been good to see the recent expansion of range in species such as the parasitic bee Sphecodes niger shown more clearly on the maps. One reason for producing atlases, and one of the reasons why mambers of BWARS work so hard to collate the records, is to monitor changes in species and look out for any worrying declines, and in part 7 there several examples of just this. For instance, the closely related solitary bees Andrena rosae and A. stragulata have not previously been listed as scarce or declining, but these maps show that there is cause for concern with few recent records. The BWARS data for these species (but not the species accounts) can be seen on the NBN Gateway – for example, here is the map for Specodes niger.